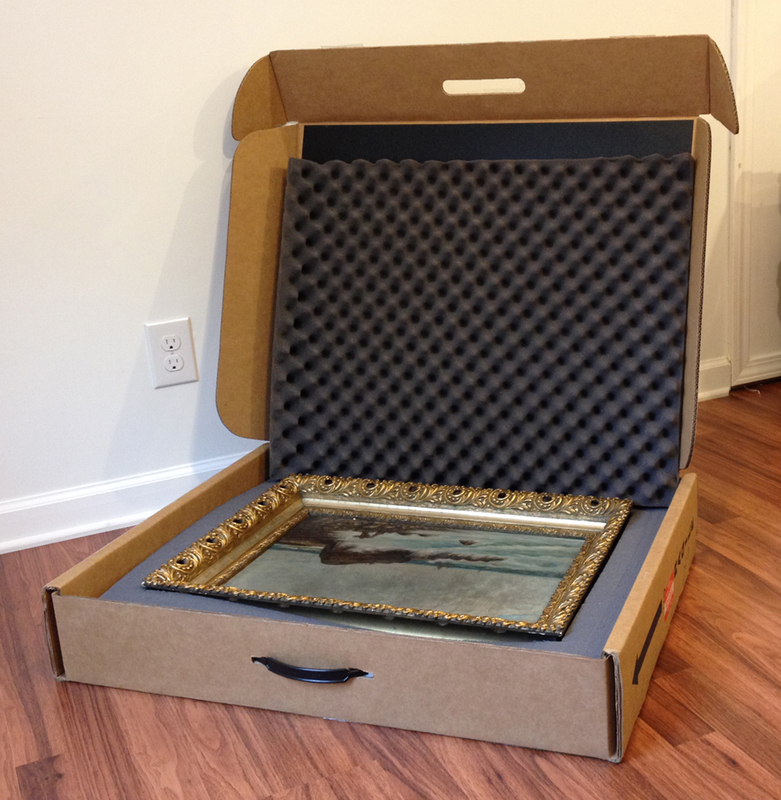 Here are some ideas for shipping your painting or photographs to us for restoration. Important: When you are ready to mail your art, email us and we will send you the shipping address here in Southport, NC. USPS, FedX, UPS are all good carriers. Insure your piece and use tracking. Option 1. We recommend buying a proper mailing box made for art. This is a very good option which one of our good customers showed us. Airfloat Systems makes a variety of safe mailing boxes that just might be what you need, at a very reasonable price. The nice thing is that these boxes can be used again and again. Here are some pictures below of what they look like. So far we have had great results with them when shipping art back and forth. 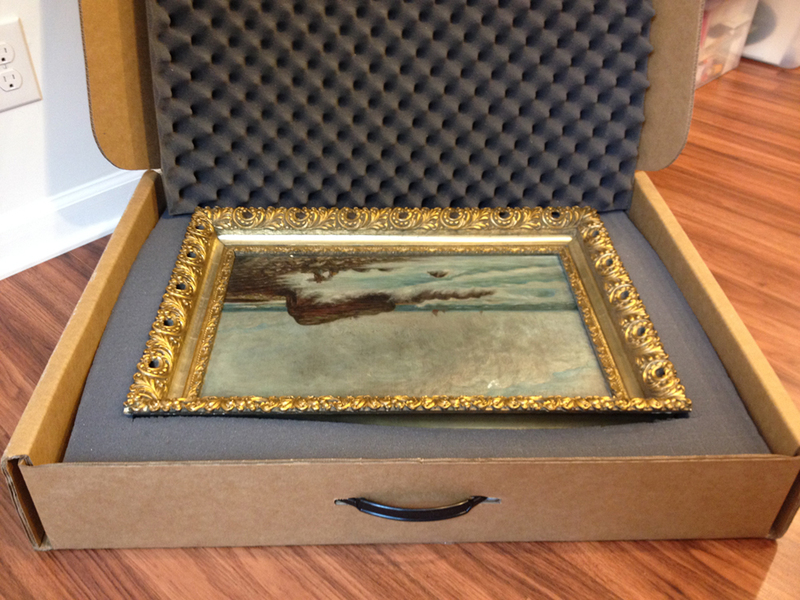 Of course, we will send you art back to you in the very same box. Along with being strong, these boxes are also light, making shipping costs much less than you might expect. This 29″ wide box, pictured below, costs only $35 to ship to NYC, with $500 insurance included in that price. Some have access to local shipping services that may very well do a good job of packing your painting, and shipping it safely. Results may vary, so we recommend talking with them to see how they package to get a sense of quality and price. Many of our customers send art to us from long distances and from out of state. Some feel comfortable making their own boxes. In these cases we simply recommend a “box in a box” concept, with the art piece wrapped in a plastic barrier, then bubble wrapped, and then placed in a fairly solid cardboard box that’s about an inch or two bigger. From there, that box can be bubble wrapped and placed inside a second cardboard box, also one or two inches bigger for wiggle room. This should provide good protection.